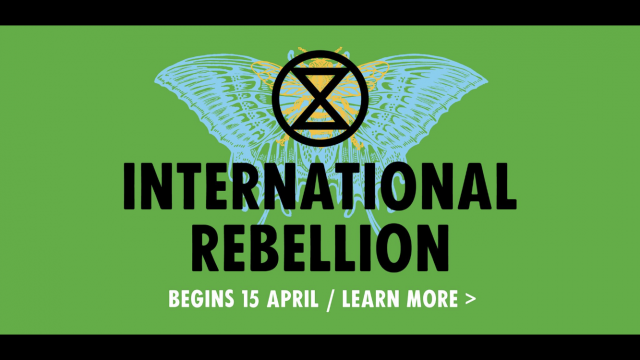 Earth March to London for the start of Rebellion Week! 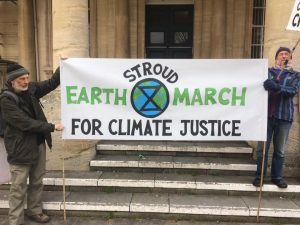 After leaving from Stroud on Saturday 6th April, the marchers stayed overnight in Cirencester. 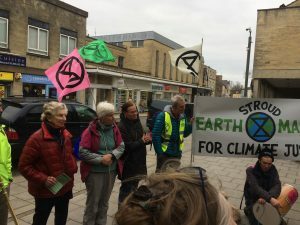 They are walking to Oxford to arrive on 10th April where they will join the Oxford Marchers heading to London to arrive on the evening of the 14th. 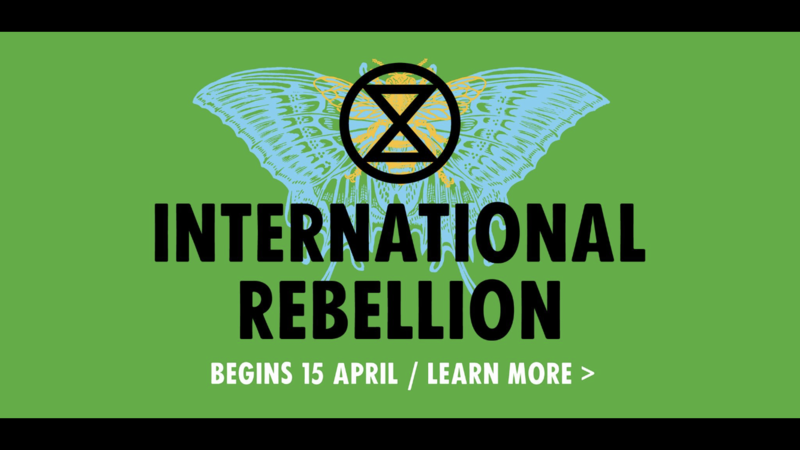 Marches are planned from all over the UK, converging on London for the big knees-up at International Rebellion, some are walking already from Cornwall, the North, West, Wales etc etc.. 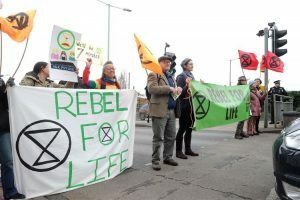 They will walk 10-12 miles a day, on planned routes, with accommodation, car support, food provisions, banners and flags, and as much media publicity and ‘noise’ as they can en route. Unfortunately, I do not know but if you follow the links in the article you can see the event details on Facebook and send a message requesting more info if required.